Pres. Duterte signs three new laws: extended lincenses and passport validity; free internet in public places - Balita Boss! 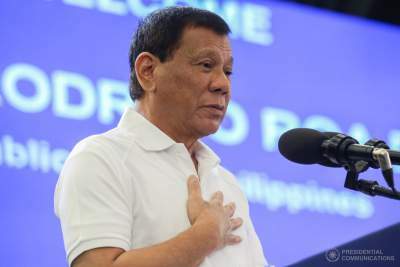 President Rodrigo Duterte on Wednesday, August 2 signed into law three measures extending the validity of passports and drivers’ licenses and providing free internet access in public places. Duterte signed Republic Act 10930, "an act rationalizing and strengthening the policy regarding driver's license by extending the validity period of drivers' licenses and penalizing acts in violation of its issuance and application amending for those purpose section 23 of Republic Act No. 4136," into law. RA 10930 extends the validity of drivers’ license from three to five years from the birthdate of the licensee yet validation up to 10 years licenses should be subjected to the restrictions imposed by the Land Transportation Office. However, the new signed law does not apply to student drivers. Republic Act No. 10928 on the other hand extends the validity of Philippine passports to ten years from five years still the second law signed does not apply to minors or those under 18 years of old who will only be issued a five-year validity of passport. Also signed was Republic Act No. 10929, which establishes a free internet access program in public places which the goal is to "promote knowledge-building among citizens and enable them to participate and compete in the evolving information and communication age." Public places stated that will be covered by the free internet access program are national and local government offices, public basic education institutions, state universities and colleges and Technical Education and Skills Development Authority technology institutions, public hospitals, health centers and rural health units, public parks, plazas, libraries and barangay reading centers, public airports and seaports and public transport terminals. All newly signed laws are set to bring forth great changes on to Filipinos as promised by the president in his campaign.